Being arrested for a drug crime is a frightening and harrowing experience. It is one thing if the arrest is carried out at the hands of local law enforcement; it is quite another if federal law enforcement agencies are involved. There is a weightiness and intimidation that comes with a federal drug crime charge. It can make you feel hopeless and despondent, as though you have no choice but to confess to something you did not do. Federal law enforcement officials are not exempt from the law. You do not give up your right to remain innocent until proven guilty and to be treated according to due process of law just because you are taken into custody by the feds. You may feel the urge to speak in order to get yourself out of the jam you find yourself in. You should resist this impulse and instead exercise your Fifth Amendment right not to say anything that may incriminate you. Your first call should be to a lawyer who specializes in federal cases. Once your lawyer arrives, they will advise you on the questions you have to answer. If you are too shaken up to speak, your lawyer can speak for you. Federal drug enforcement agencies are able to bring all the resources of the United States government to bear to investigate and prosecute cases. The feds only go after large criminal enterprises. They carefully and meticulously establish targets and wait until the time is right to make an arrest. If they have had you in their sights, it means they believe you are somehow connected to a major drug operation. Their aim is to successfully convict the people they have in custody on the charge of conspiracy. This is defined in law as two or more individuals violating a drug-related law. The very minimum for federal drug conspiracy is 5 years. However, the burden of proof is on a federal prosecutor to prove you have committed a crime. Federal drug agents often arrest everyone they suspect is involved in a drug operation, even those who have not actually committed an offense. And this is the weak point of many federal cases. It is the point that your lawyer will dwell over, thoroughly examine, and pick apart. You should not be made to confess to a crime you did not commit. Nor should you spend time in jail for something you did not do. Your lawyer will look hard at the evidence the feds say they have on you. They will discern the weak links in the case against you and push federal prosecutors to demonstrate how the evidence links directly to you. No one can be convicted and sent to jail for being associated with drug dealers, and being in the same place in which drugs are being made or sold is not the same thing as participating in these activities. 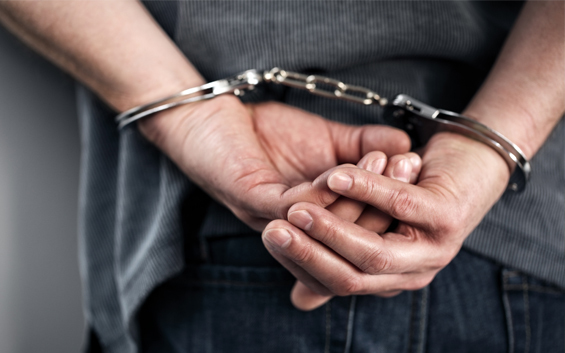 If you have been arrested on a federal drug charge, you need immediate legal representation. You can get More Info here. Why You Need UK Solicitors For Injury Claims?